Sadio Mane has insisted he is happy at Liverpool, but hinted he may be tempted to look for a transfer if he feels he cannot win major honours at the Anfield club. 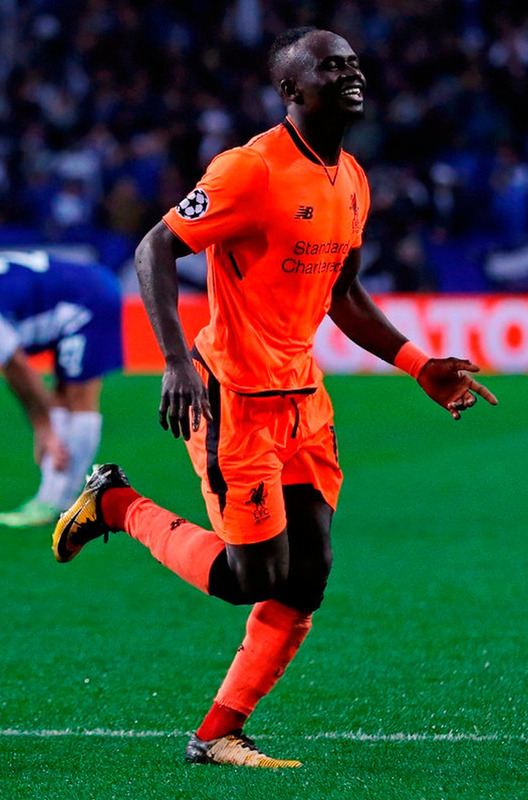 Mane is preparing for Senegal's World Cup opener against Poland next Tuesday and when asked about his future at club level, it was evident that the disappointment from Liverpool's Champions League final defeat against Real Madrid still lingers. The Spanish giants have been linked with a move for Mane in recent weeks, with the forward offering a hint that his desire to win major honours may sway his plans eventually. "I am very happy in Liverpool and my contract will last for three more years, but you never know what will happen in the future. I want to win trophies, especially the Champions League," he told reporters. "To be honest, this defeat (against Real Madrid in Kiev) was not easy to put away. The whole club worked hard for this Champions League title, but Real Madrid were the better team that day. "We lost to the best team in the world. Now it is time to play with Senegal a good and successful World Cup. That's my whole focus." Mane is being hailed as Senegal's star man at this World Cup, but he insists he is not fearful of the weight of expectation that has been put on his shoulders. "I feel no pressure. To be honest, I am very happy to play this tournament together with my team. I also do not see myself as a superstar, but as part of a team that wants to achieve a lot in the World Cup." With the Nabil Fekir deal shelved, Manuel Lanzini injured and Thomas Lemar seemingly on his way to Atletico Madrid, Liverpool fans are still awaiting a long-term replacement for Philippe Coutinho. The names are being crossed out with disarming regularity. Having suffered the double setback regarding Fekir and Lanzini, Jurgen Klopp and his recruitment team have taken a step back to assess their options. Klopp, for his part, is on a well-earned holiday, although his phone will surely remain on. The players regularly linked with Liverpool are well known at this stage - Christian Pulisic of Borussia Dortmund, Paris Saint-Germain's Julian Draxler and Julian Brandt of Bayer Leverkusen are just three of several examples. There is, though, another name gaining traction among Reds fans. And he's primed for a step up to Europe's elite. Hakim Ziyech, the Ajax attacking midfielder, will spearhead Morocco's efforts in the World Cup. Morocco could be dark horses in the tournament, their chances of progressing from Group B bolstered by the shock sacking of Spain boss Julen Lopetegui on the eve of the tournament, after it emerged he will take over as Real Madrid boss in July. Portugal and Iran make up the remainder of the group - the latter are Morocco's first opponents tomorrow afternoon - and there will be plenty of interest in the impact of Ziyech. The 25-year-old's reputation has grown considerably over the past season, having scored nine goals and provided 18 assists in 39 games for Ajax. There he plays at the tip of a midfield three, similar to the position in which Coutinho performed for Liverpool before making his £142million move to Barcelona in January. And after two years in Amsterdam, having previously starred in Holland with Heerenveen and FC Twente, Ziyech is ready to move on. "I need a new challenge," he said last month. "At some point, it's time to go. Of course, I wasn't at my best sometimes, but I feel that I need (something to) click by changing my environment. "When I arrived here, I said I wanted to continue to grow for two years. I also discussed with Marc (Overmars, the Ajax sports director) if everything is good for Ajax and for me, then I do not see why it would not happen." With three years remaining on his Ajax deal, Ziyech would command a sizeable fee, although not in the region of the near £50million Liverpool were ready to hand Lyon for Fekir.